Tiny particle dots float out of focus, with rays coming through the screen from the lights behind. A great visual for meditation. 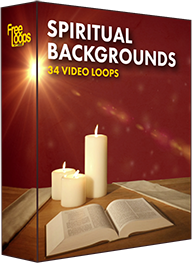 A perfect motion graphic for your video, this video loop, woo your audience by using this video.